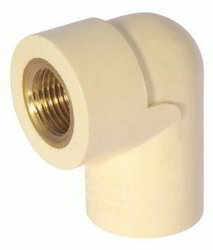 Prominent & Leading Manufacturer from Rajkot, we offer cpvc brass elbow, cpvc brass mta, cpvc brass male adapter, cpvc brass female adapter, cpvc brass fta and cpvc brass tee. We are one of the trustworthy manufacturers and suppliers of a wide assortment of CPVC Brass Elbow. Under the strict direction of our adept professionals, this fitting is proficiently manufactured by our skilled professionals using premium grade brass with the help of cutting-edge techniques and best grade brass material. 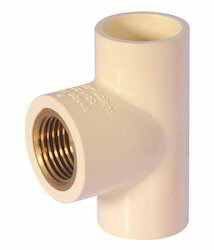 Our offered fitting is highly applicable for connecting pipes and fitting purposes. Furthermore, our esteemed clients can get the provided Fitting from us in different sizes at affordable prices. Backed by a team of diligent and adroit professionals, our organization is highly devoted to provide a wide range of excellent qualityCPVC Brass MTA. As per the quality norms set by the industry, our skilled professionals manufactured this tee using sophisticated technology and superior quality chlorinated polyvinyl chloride. To gain the maximum satisfaction of the clients, the offered tee is checked on several quality parameters. Our firm is involved in manufacturing and supplying a huge range of CPVC Brass Elbow. We design the given product following industrial standards by making use of best quality material and modern technology. 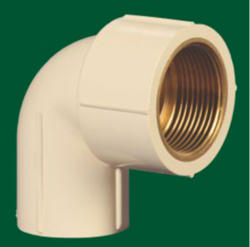 Our firm offers a high-quality range of CPVC Brass Elbow. It is manufactured using top quality materials and latest technology and tested under various quality parameters. Being a leader in the market, we are engaged in providing our clients with a qualitative range of CPVC Brass Elbow. The provided elbow is available in different specifications as per the diverse demands of the clients. 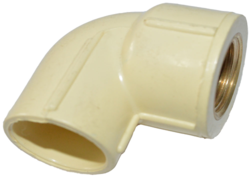 The offered elbow is manufactured utilizing optimum grade chlorinated polyvinyl chloride and progressive technology. Owing to its easy installation, the offered elbow is widely demanded among our patrons. Further, our renowned clients can get this elbow from us within a set time-frame. 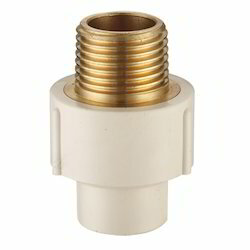 We are endowed with a state-of-the-art infrastructural facility which backs us in manufacturing and supplying an excellent range of CPVC Brass Male Adapter. The offered adapter is designed & manufactured by our dexterous workers using the best quality metals and ultra-modern techniques keeping in mind the variegated needs of our clients. The adapter that we are offering can be availed in various specifications and is highly appreciated due to it’s compact design, corrosion resistant surface finish, dimensional accuracy and durability. 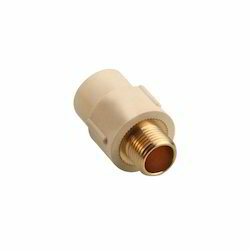 Moreover, our esteemed clients can avail this adapter from us at industry leading prices. Our infrastructure is empowered with an in-house production unit, which back us to manufacture and supply an exclusive range of CPVC Brass Female Adapter. 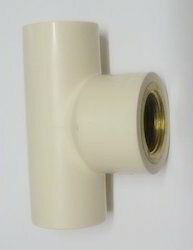 The adapter that we are offering is manufactured by our dexterous professionals using high quality raw material and innovative technology at our hi-tech manufacturing unit in adherence with set industry standards. 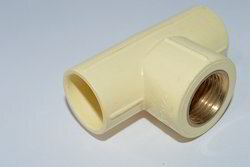 Apart from this, the offered adapter is used for connecting pipe line at various buildings. Moreover, our adapter can be availed in various dimensions and finishes by our esteemed clients at market leading prices. 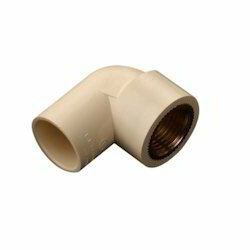 Our firm is involved in manufacturing and supplying a huge range of CPVC Brass Pipe Fitting. We design the given product following industrial standards by making use of best quality material and modern technology. 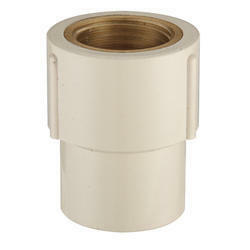 Our firm offers a high-quality range of CPVC Brass Female Adapter. It is manufactured using top quality materials and latest technology and tested under various quality parameters. We are engaged in offering our clients a superior quality range of CPVC Brass FTA. We design the given product following industrial standards by making use of best quality material and modern technology. We are engaged in offering our clients a superior quality range of CPVC Brass Tee. We design the given product following industrial standards by making use of best quality material and modern technology. 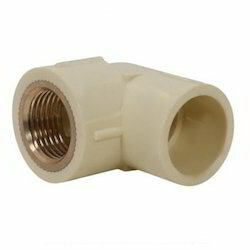 We are engaged in offering our clients a superior quality range of CPVC Male Brass Thread Adapter. We design the given product following industrial standards by making use of best quality material and modern technology. 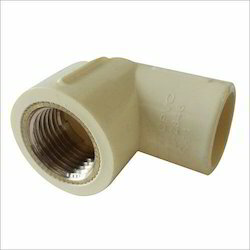 We are leading manufacturer and supplier of CPVC Brass Threaded Tee. It is manufactured using quality raw materials and latest technology. We are amongst the leading organizations engaged in offering a commendable range of CPVC Brass Elbow. Size 1" X 3/4",3"/4",1",3"/4 X 1"/2"
We are engaged in offering our clients a superior quality range of CPVC Brass Elbow. We design the given product following industrial standards by making use of best quality material and modern technology. Our firm offers a high-quality range of CPVC Brass Tee. It is manufactured using top quality materials and latest technology and tested under various quality parameters.